I’m glad my tutorial helped you! Worked for me 😉 THANK YOU !!! But what I really do not understand is why we have to do these hacks to make simple task to work. More Info: I am running Arch Linux with XFCE Installed. I wish I had an answer for that 😛 Great to read that my tutorial helped you! By “box” do you mean virtual machine by any chance? I’m using Xubuntu 14.04. Sorry buy your description doesn’t help me. Don’t feel sorry at all! It is good to know, I have switched to Fedora a couple of months ago. So I can’t check it out, sorry! Rudolph thank you for your feed back! I don’t use Ubuntu anymore, but I will incorporate your feedback in my post. For me it didn’t work. Re-installing fixed the issue. It didn’t work for me either (Xubuntu 14.04). Instead there is a runtime error while booting. How can I fix that? Need help! Steve, I am so sorry, I don’t use Xubuntu anymore 😦 Did my other tutorial regarding this subject work? Roja, thank for answering so quickly! Unfortunately the other way didn’t work either. The errors while booting remain too… I can watch my dvds on another system, but i do want to fix these booting-errors. Do you habe any idea? 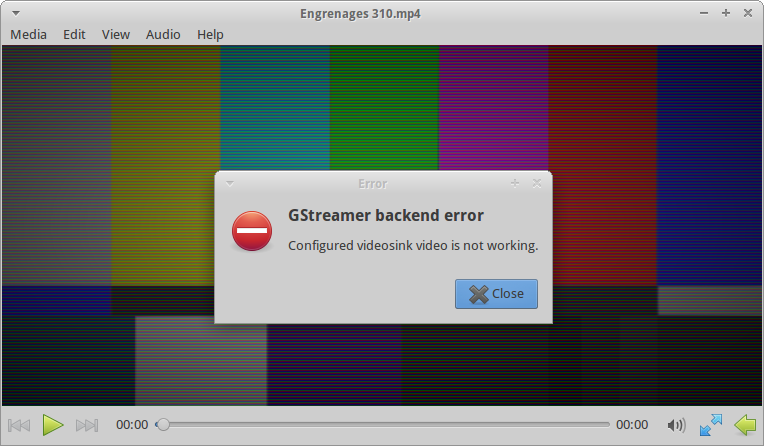 This didn’t work for me in Xubuntu 14.04 either. Then install the non-free multimedia extra’s for Xubuntu. Press Enter. Your password will remain entirely invisible, not even dots will show, this is normal. Close the terminal when the installation has completed. Open parole, tools, preferences. Select the display tab, and under Video Output select Window System X (without Xv). You should already be able to play the videos.